Simon Tomkinson is a director of WSP Pty Ltd and a founding partner in Wealth & Security Planners. 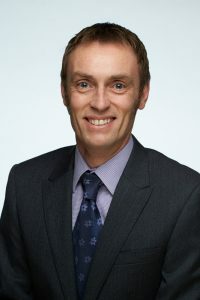 Simon is a Certified Financial Planner, granted on 1 November 2000 after study through Deakin University and is member of the Financial Planning Association of Australia (FPA; Member Number 019957). Simon is a registered Tax (financial) advisor (Number 24936657). Simon left MLC in 1994 to pursue holistic financial planning as an advisor under the business name Wealth & Security Planners. In 1996 Simon entered a partnership with Ralph Treasure, Michael O’Hara and John Claessen under the Wealth & Security Planners banner. Outside of work, Simon’s interests include (proper) football and a variety of two-wheeled conveyances – enjoying the riding and, in order to satisfy a need to produce in a different way, the construction of some bicycles.